When Lucy comes across the old wardrobe standing alone in the spare room, she thinks she has found a good place for hide and seek. But then she tumbles headlong into a magical world of fauns, dwarves and giants, of animals that talk and horses that fly - the land of Narnia. It is so extraordinary that at first her brothers and sister don't believe it can be real. Soon, though, Peter, Edmund and Susan find Narnia too and the adventures really begin.Together they must battle against the evil White Witch to break her cruel grip on Narnia, a land she has cast in perpetual winter, without Christmas. Only one thing can hold fast against such wickedness: the mighty Aslan. The excitement which C.S. 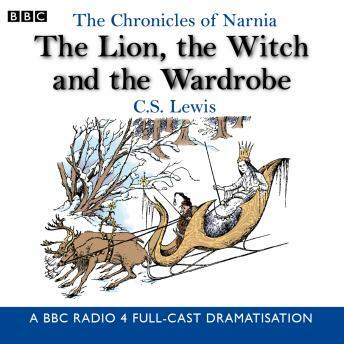 Lewis must have felt in creating this enchanted world is conjured up once again in this thrilling dramatisation of one of the best stories ever told.